The other night I did a search for S.T.A.L.K.E.R. 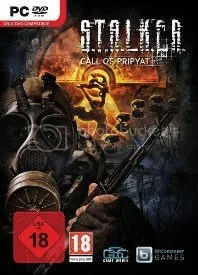 Call of Pripyat online. I wanted to see if it had dropped in price any since its initial release. The S.T.A.L.K.E.R. series is a 1st person shooter PC/Video game. I played the original one, S.T.A.L.K.E.R. Shadow of Chernobyl, quite a few years ago. 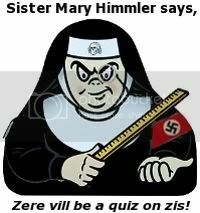 It was designed and written by a Russian outfit. I was very impressed with it. I really enjoyed the storyline and the actual gameplay. It was outstanding; a very thought-provoking plot. In this story, you regain consciousness after some unknown event. Another person brings you to a local trader within the “Zone”, the area cordoned off by the military that surrounds the remains of the Chernobyl nuclear power plant. Since the 1986 disaster, many strange things have been happening in that area… anomalies, mutant animals, and… other things. There is also a growing group of people trying to get into the Zone for whatever reasons; some for profit, some for not-so-benign reasons. You have an agenda that you need to follow. It’s not going to be easy. Ultimately, you will have choices to make. Choose well. A couple years later, a “prequel” of the original was released. 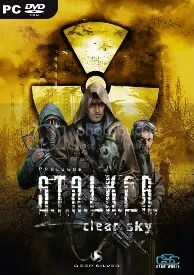 It was called S.T.A.L.K.E.R. Clear Sky. It was pretty cool, too. I’m not really sure which of the first two I liked the most. I think I’m leaning toward the original a bit. However, Clear Sky was still a fun game to play, with an interesting plot also. In Clear Sky, you’re a mercenary (hired gun) who regains consciousness in the Clear Sky militia’s camp after some mishap. You’re asked by Clear Sky’s leader to assist in tracking down and killing a certain Stalker. This Stalker is supposedly attempting to map a route through the Zone to the actual power plant, where there is supposedly much anomalous treasure. As with many of these type games, your choices determine gameplay and outcome. Choose wisely. The events of S.T.A.L.K.E.R. : Call of Pripyat unfold shortly after the end of S.T.A.L.K.E.R. : Shadow of Chernobyl. Having discovered about the open path to the Zone center, the government decides to hold a large-scale military “Fairway” operation aimed to take the CNPP under control. the territory to map out the detailed layouts of anomalous fields location. Thereafter, making use of the maps, the main military forces are to be dispatched. Despite thorough preparations, the operation fails. Most of the avant-garde helicopters crash. In order to collect information on reasons behind the operation failure, Ukraine’s Security Service send their agent into the Zone center. Sounds intriguing, hmm? I know what I’m going to be doing this evening. Merry Christmas to me! This was my one and only splurge for Christmas 2010. I plan on enjoying it. I’ll probably be back here with a review in a week or so. Posted by V. T. Eric Layton on 3 December 2010 in Entertainment and tagged 1st person shooters, Call of Pripyat, Clear Sky, pc games, S.T.A.L.K.E.R., Shadow of Chernobyl, video games. I don’t know this game, but this whole idea seems modelled on a film called “Stalker” made in the late 70s (i.e. well before Chernobyl) by Andrey Tarkovsky, where the “stalker” guides paying customers into a mysterious area called “the Zone”, in which many of the laws of nature seem suspended, and at teh heart of which is a mysterious room in which one’s dearest desires will be granted. It’s a strange and haunting film, and well worth seeking out if you haven’t seen it. 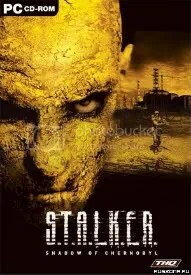 Hmm I played Stalker 1/1 and throughly enjoyed them. I may have to get this one as well. Thanks for the post Eric!